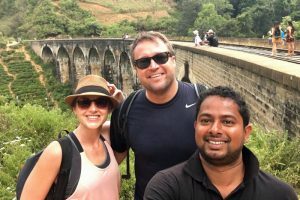 A very good experience from booking to arrival – we were picked up on time by our very friendly driver at the airport who was happy to take us all the way to our hotel in Ella. Our journey was long but we were taken on the most direct route and assisted with a safe check in to our hotel as our arrival time was very early in the morning. A great service with good value for money! Would definitely use this service again throughout our trip in Sri Lanka. It was an excellent start to our holiday.